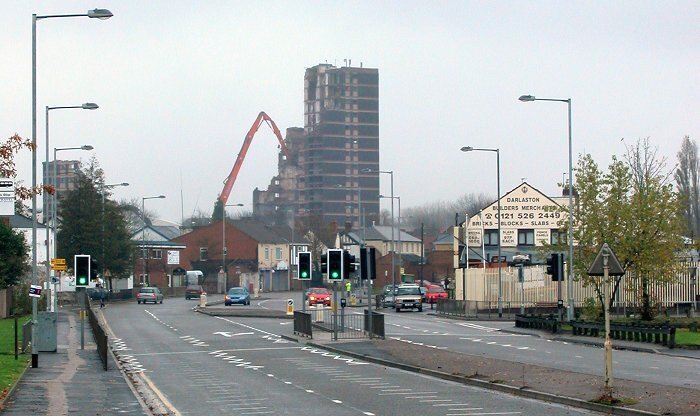 Darlaston's high-rise begins to disappear. 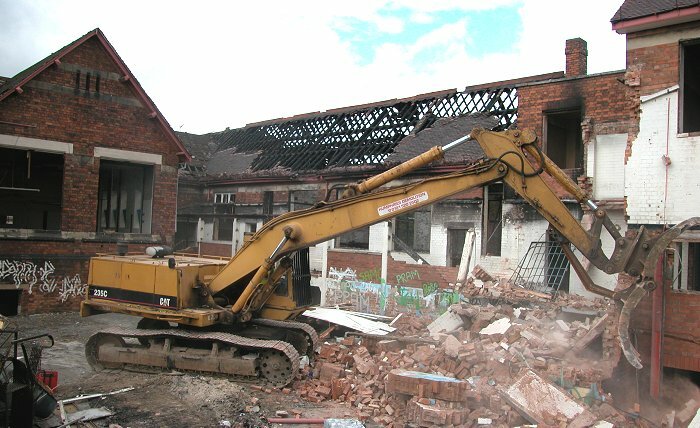 In 2001 Alma Court and Leys Court were demolished by Coleman & Company (Plant Hire) Limited. 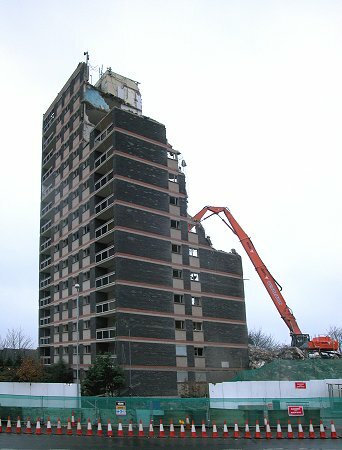 By the spring of 2004, Darlaston's first high-rise development John Wootton House and Great Croft House had been emptied in readiness for demolition. They were just 39 years old. 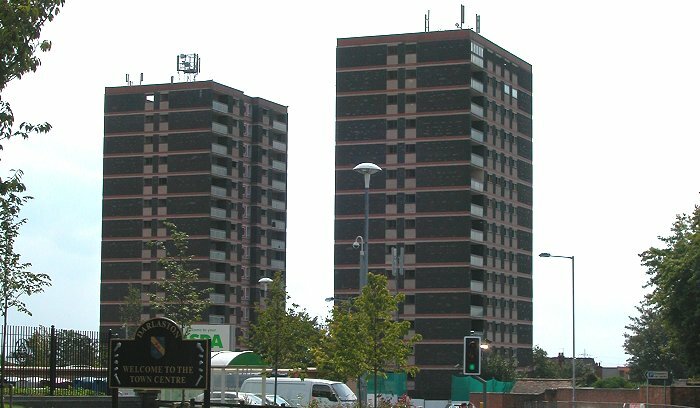 The fenced-off flats awaiting their fate. An empty John Wootton House. 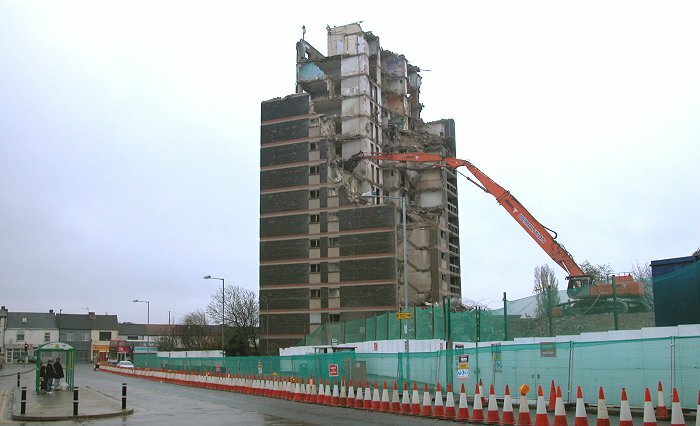 The partly-demolished Great Croft House. 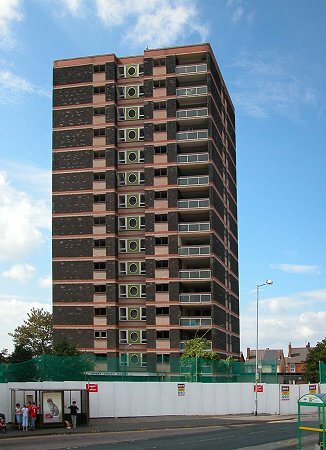 The partly demolished flats as seen from the bottom of Moxley Road. 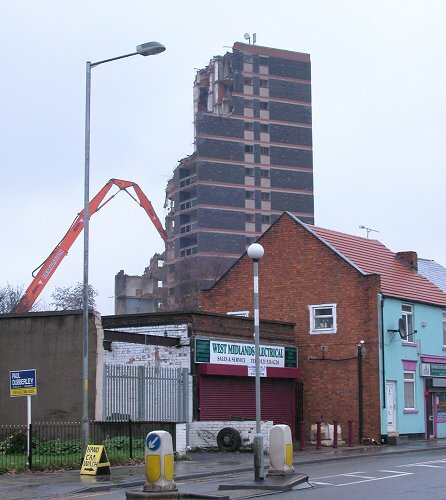 A view of the demolition from Pinfold Street. 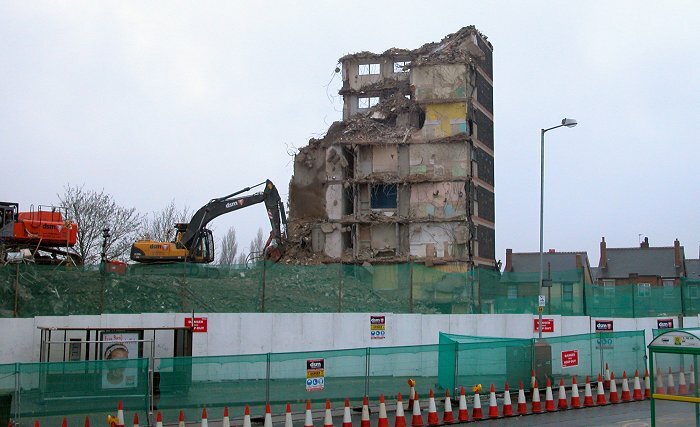 John Wootton House slowly disappears.. 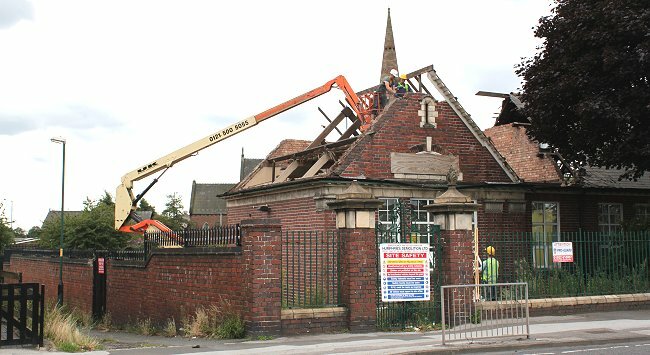 The end is in sight as demolition work rapidly progresses. Courtesy of Terry Hurley. Little remains of Great Croft House. 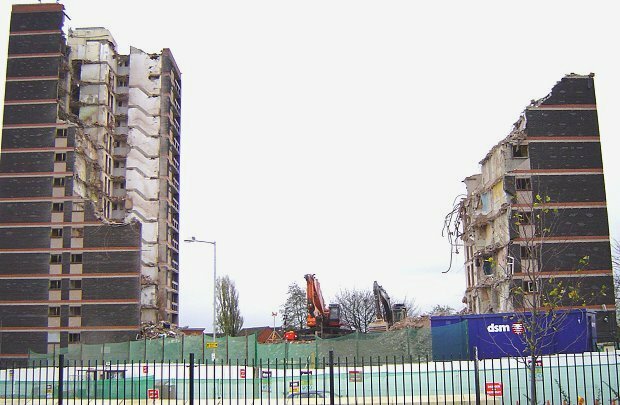 By the end of November 2004, all that remained was rubble. 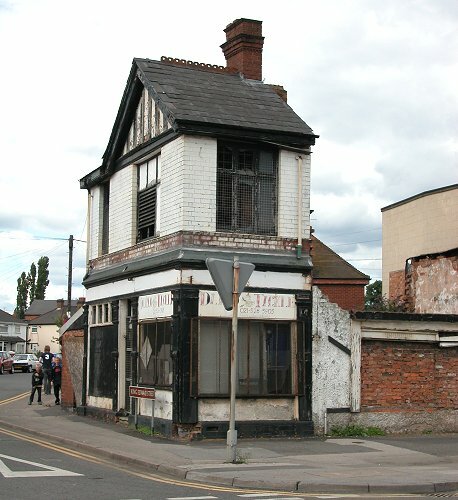 One of Darlaston's older shops that disappeared in the early years of the 21st century was 'Darlo Tackle', a fishing tackle shop, popular with enthusiasts. It is seen here in the middle of 2004. 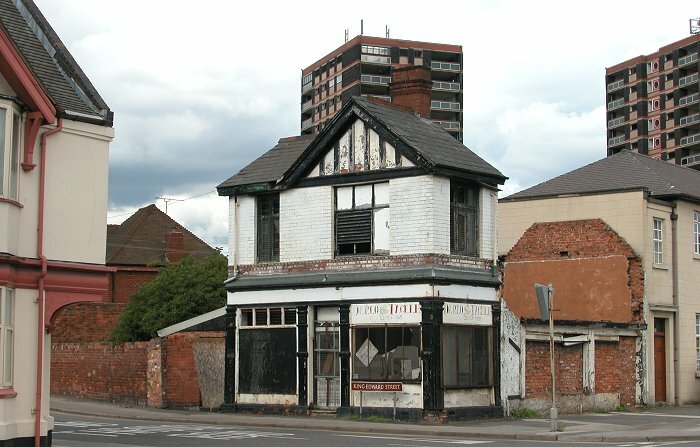 Darlo Tackle, on the corner of King Edward Street and Pinfold Street awaiting demolition. 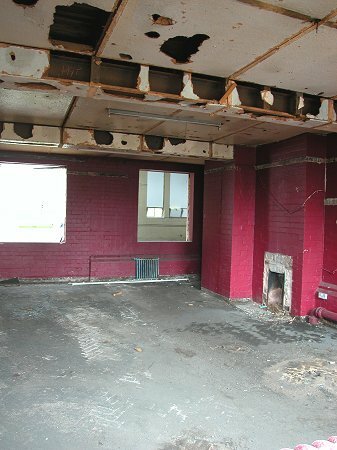 Another view of the derelict shop. 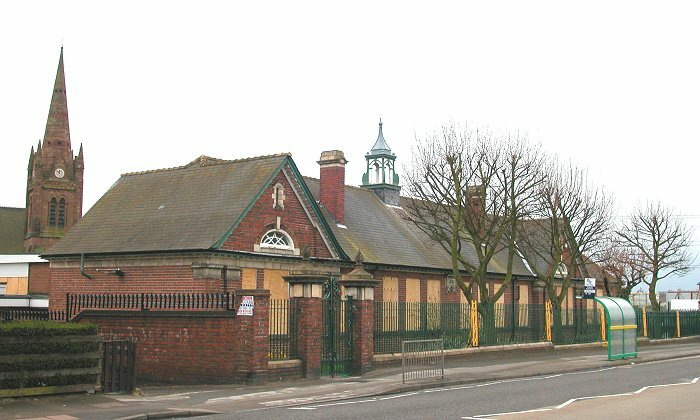 Slater Street school, the old Board school, ended its life in March 2005. 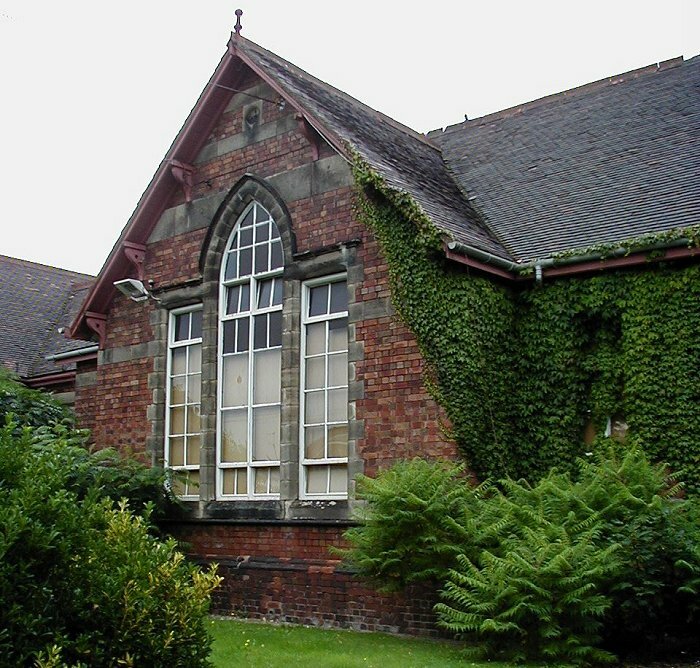 A variety of uses were found for the school buildings after closure in the 1960s. 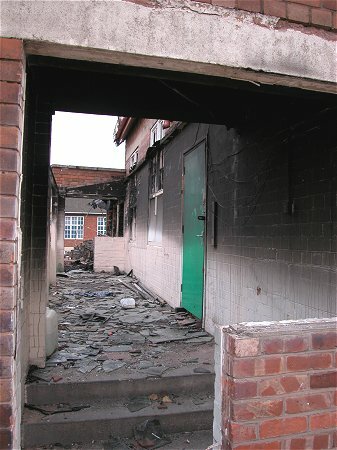 Sadly the school was the victim of several arson attacks in mid February 2005 and badly damaged. 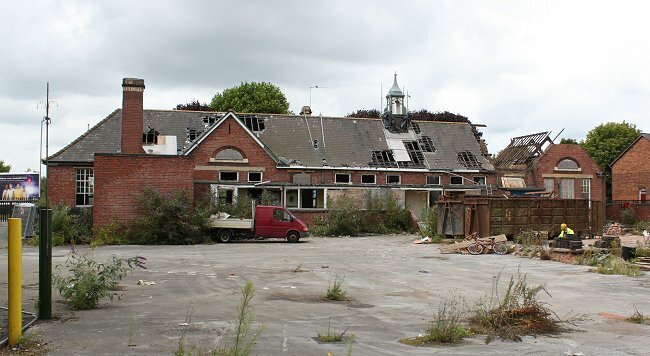 In 2018 work began to redevelop the site. 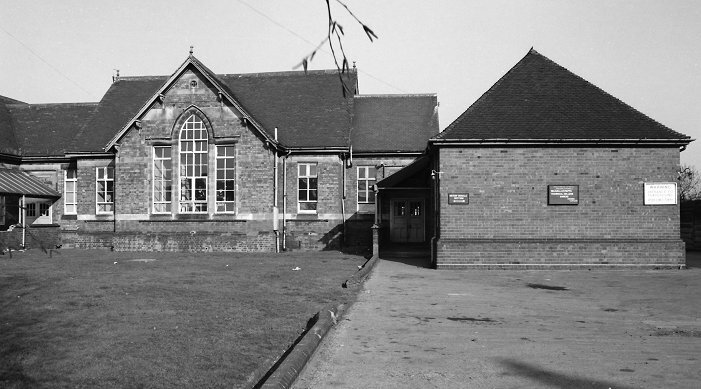 The school in the early 1970s. 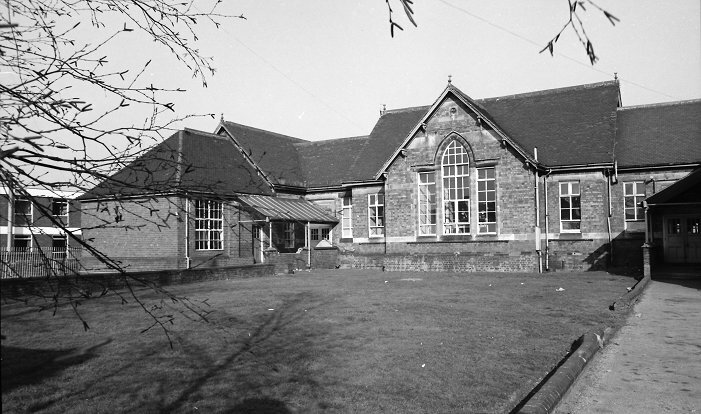 Another view from the early 1970s. A final view from the 1970s. 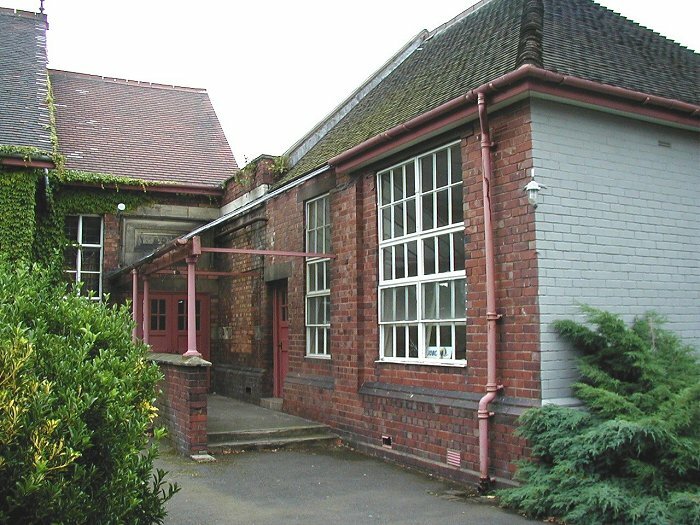 How the school looked in 2001. A final view from 2001. The aftermath of the fires. Many ex-pupils must have happy memories of their time there. 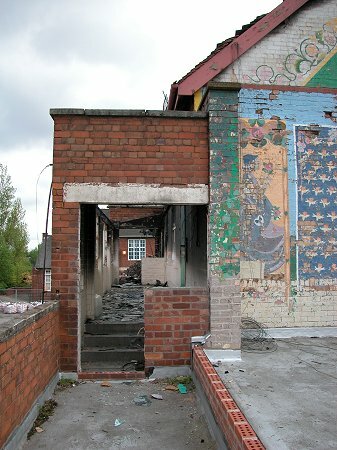 The sorry state of the frontage after the fire. The end is in sight for a once familiar landmark. A charred and blackened corridor. 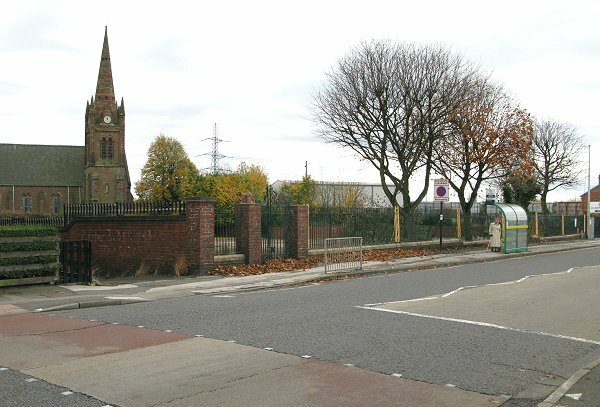 The site in June 2005. The only building that was unscathed. 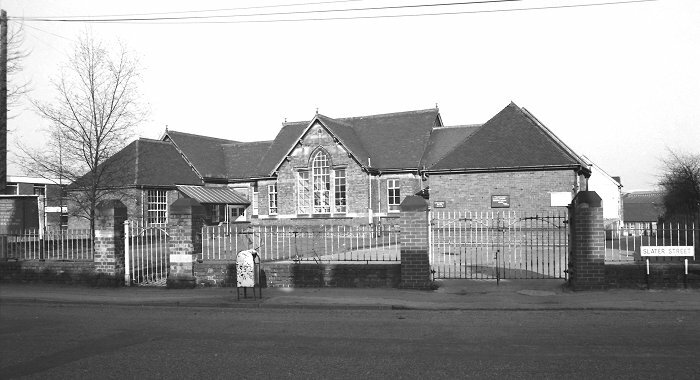 Within a few years it would also be demolished along with the junior school behind. 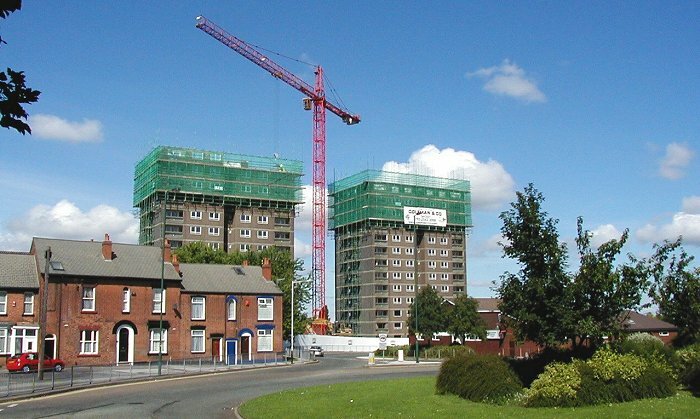 A final view from June 2005. 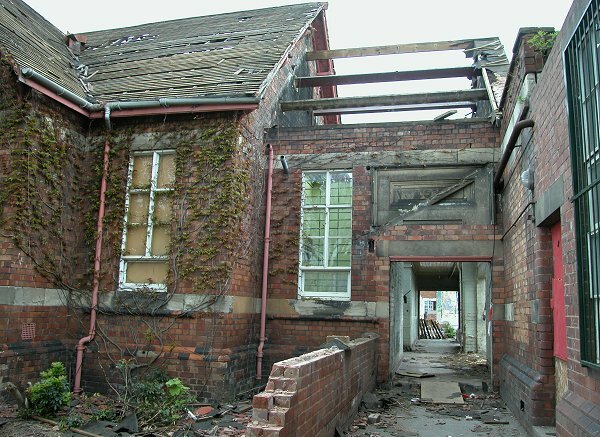 On 19th May, 2009 another school suffered from a mindless arson attack, which resulted in sever damage to the old Moxley Infants School. The fire started around 8.30p.m. in the buildings behind the school. Eight fire crews and around 40 firemen arrived to put out flames which were 20ft. high. Luckily the building was empty at the time. Several youngsters were spotted close to the scene at the start of the fire. 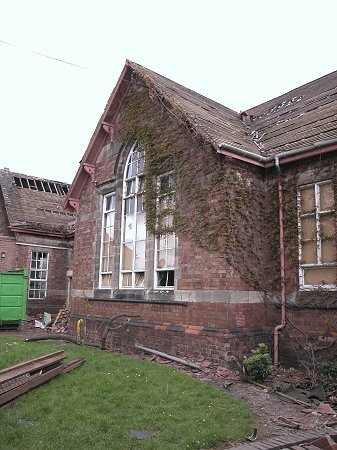 The school was left in a bad state of repair, and unsafe in places. 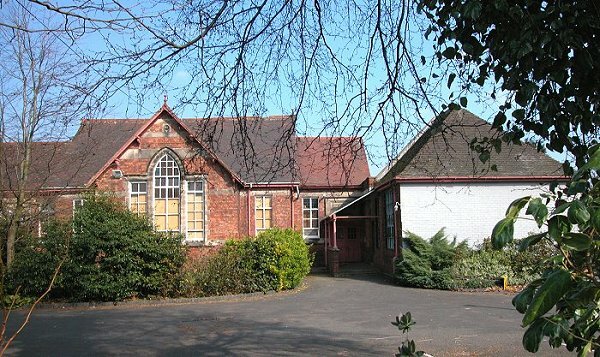 Although the building was locally listed, the council were urged to demolish it sooner rather than later. 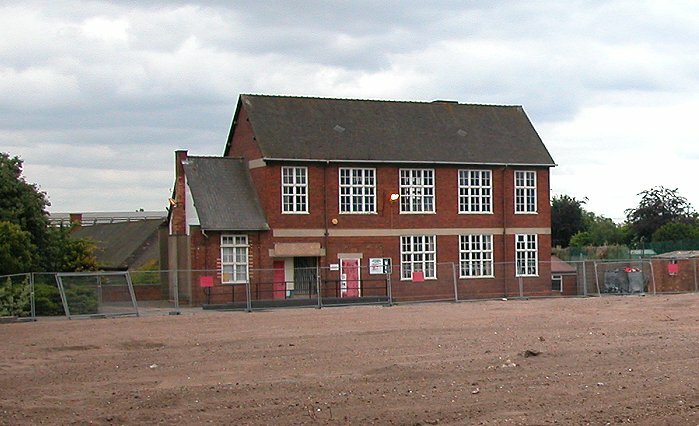 The empty school building in 2007. 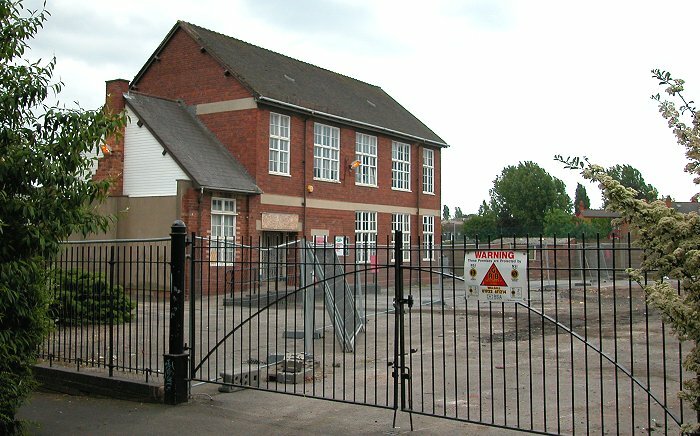 The front of the school, as seen in November, 2009. 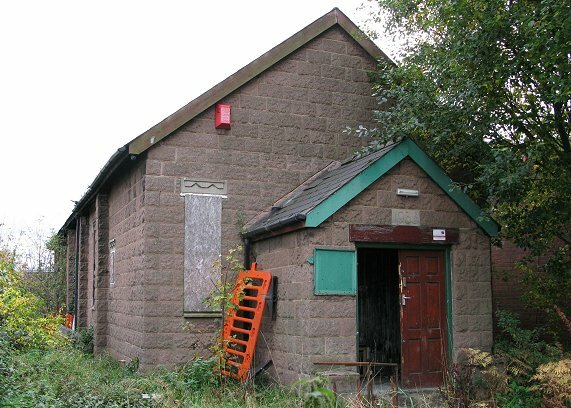 It had been derelict since closure in November, 2006. 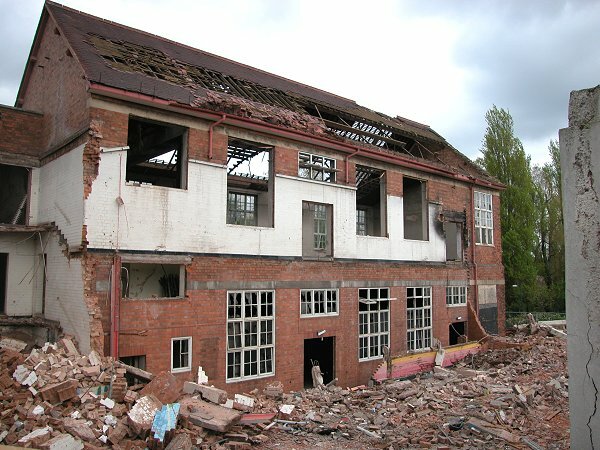 After the fire, the buildings at the rear of the school were demolished. 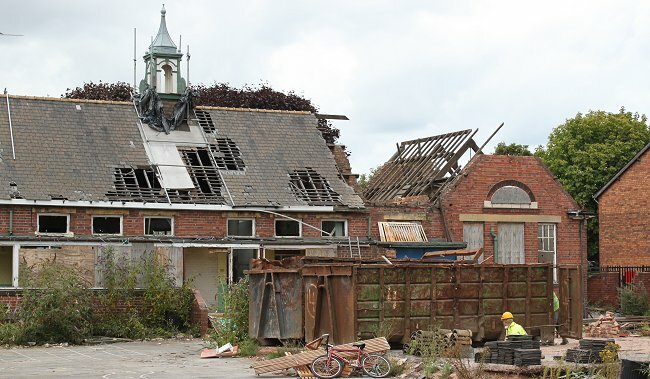 This photograph was taken part-way through the demolition in June 2009. 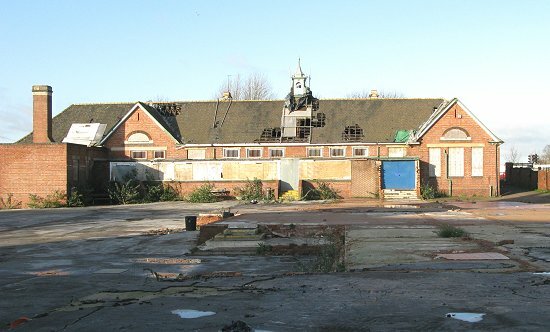 The back of the school in November 2009 after the rear buildings had gone. 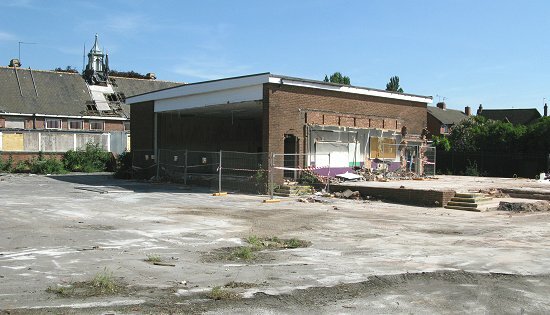 Demolition work on the main school building began in August 2010. 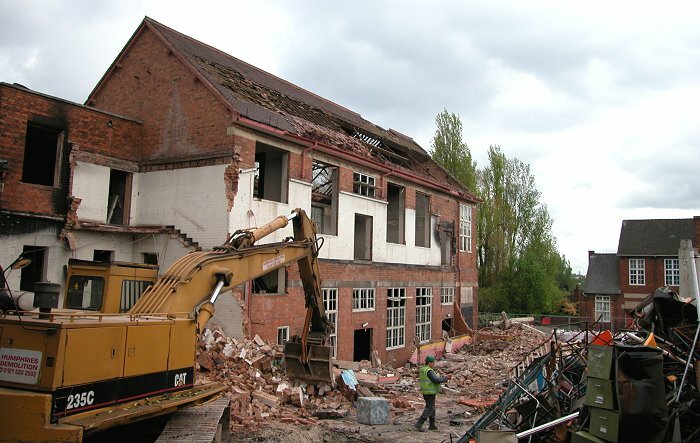 A view of the back of the school as demolition gets underway. A final view as the eastern end disappears forever. 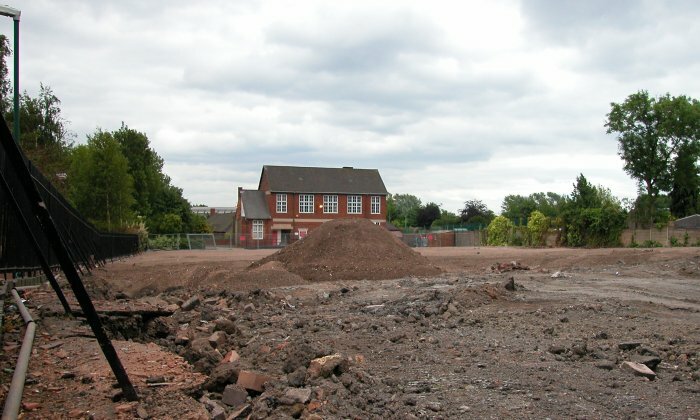 The site of the school in November, 2010 when demolition had been completed. 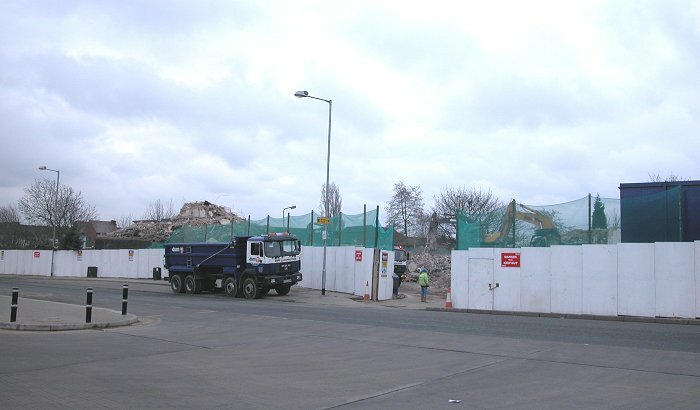 Another demolition site, as seen in November 2010. 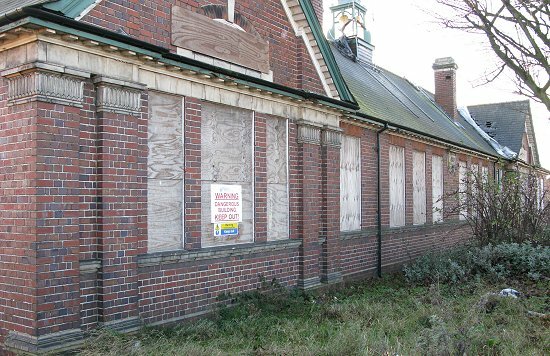 The ROAPP Hall in Dorsett Road Terrace, built in 1933, and about to disappear forever. 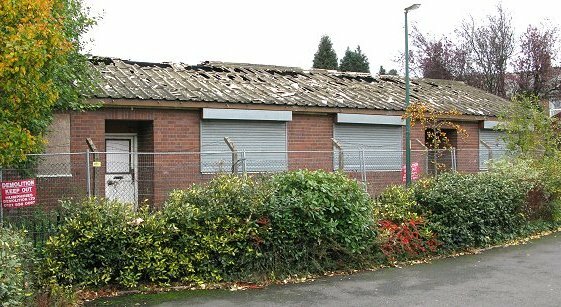 G. B. Longmore's canteen at the bottom of Dorsett Road Terrace. 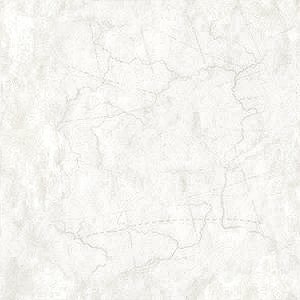 It was last used by a catering company.